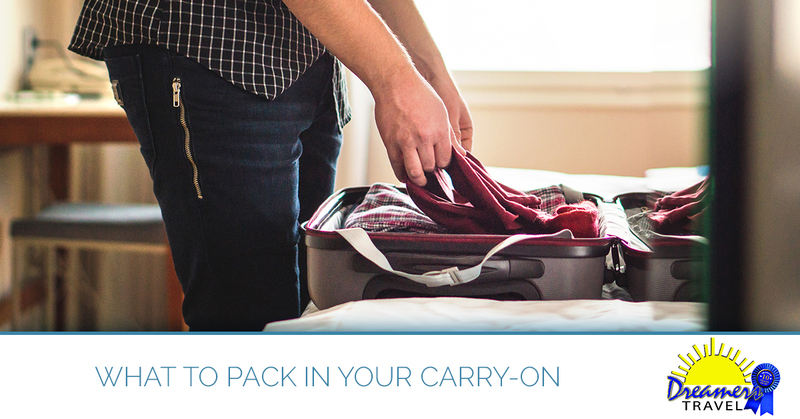 Packing for a vacation or business trip can be overwhelming. How do you fit all you need in a small bag? And then what should go in the carry-on bag? When you ask travel experts and frequent travelers what they pack in their carry-ons, you’ll find that many, more or less, pack the same things. Specifically, there are three key categories that seasoned travelers take into account when packing: comfort, preparation, and entertainment. If your comfort strategy for flying is snagging a window seat and racing to fall asleep, you are probably already well-acquainted with the pains of flying. These days, flying coach in coach is comparable to taking a long, crowded bus ride. All of the comforts that were once standard have now become add-ons or altogether impossible to get in economy class. While we don’t have any magical tricks to create more legroom or a link to a personal machine that will shrink you down to action-figure size, there are a few key things that can drastically improve the comfort of your flight. First, pack something warm. Even if it is 100 °F when taking off, chances are that the temperature inside the cabin will be quite cool. Plan for this and bring some sort of sweater, blanket, or wrap. Secondly, bring a travel pillow. There is a seemingly endless array of pillows available — the classic “U” shaped pillow, the inflatable pillow, the pillow that’s built into a hoodie, etc. Find the one that works best for you. Lastly, invest in a quality eye mask and ear plugs. Not only will these last two help you catch some shut-eye, but regardless of what’s going on in the cabin, you’ll have a somewhat quiet place to escape. This tip is probably the most relative of all the tips. But what’s important here is that you take into account the essentials you need for the flight and potentially the next day or two (in case your luggage gets lost or delayed). In addition to packing all necessary medications, it’s also handy to pack small containers of hand sanitizer, phone chargers, important documents, and anything else you need to be prepared. Also, take care of your ears! If you regularly experience problems with your ears because of the pressure fluctuation, be sure to prepare for this with gum, something to drink, and whatever else it takes you to personally get through it. The one great thing about long plane rides is that they provide the perfect opportunity to catch up on books, music, movies, shows, podcasts, and whatever other entertainment you enjoy. However, depending on your choice of entertainment, be sure to pack and prepare all you need. For example, make sure not to forget your headphones — please don’t be that guy that watches a movie on his laptop without headphones. Also, be sure to bring your charger, as well as a power bank in case your plane isn’t equipped with an outlet. Another important note for laptop users: to ensure that you get to watch the movie or show you want, download it beforehand. Don’t just rely on the in-flight WiFi to load all of your entertainment. Backup option: it’s also a good idea to board a flight with some non-electronic forms of entertainment. Books, magazines, crossword puzzles, or a journal are all good options, and they can save you if your device runs out of juice or acts up. Need help planning your next trip? 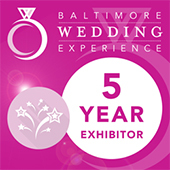 Contact our Maryland travel agency! We can help plan your next family vacation, destination wedding, all-inclusive cruise, or whatever adventure you want to take on next. Learn more about us and contact us to get started.